At the St. Clair Shores dental office, we provide dentistry for all ages, including children. We understand the importance of creating a positive experience with your child’s visit and quality dental care is important in your child’s health and development. Early detection of dental problems is essential to maintain good oral health. It is recommended for all patients to schedule a routine six-month check-up exam. Our talented St Clair Shores children’s dentist and team specialize in a variety of dental solutions for children of all ages. Below are some of the pediatric dentistry services we offer for your child. Topical fluoride will be applied to your child’s teeth to strengthen enamel and make them more resistant to tooth decay. Sealants protect against tooth decay and cavities on your child’s molars. Molars are the most susceptible to cavities and least benefitted by topical fluoride. Sealants are applied to the chewing surfaces of back teeth and are highly effective in preventing tooth decay. Our team welcomes children of all ages. If you have any question or concerns regarding your child’s dental care, don’t hesitate to contact our St Clair Shores children’s dentist. Our experienced doctors and team utilize the latest dental technology for the most accurate diagnosis and treatment. 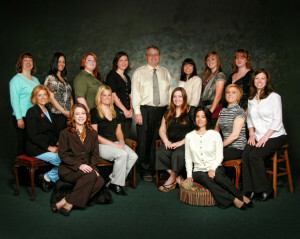 To learn more about our children’s dentists in St Clair Shores and team, visit our About Us page.